Jesus said, “Come to me, all who labor and are heavy laden, and I will give you rest. Take my yoke upon you, and learn from me, for I am gentle and lowly in heart, and you will find rest for your souls. For my yoke is easy, and my burden is light.” Most people find that to be all but impossible. They are tired, stretched, and overwhelmed. Even for Christians, who have a clear path to it, true rest seems so elusive. Getting at the root causes of that unsettledness and fatigue is essential in order to bring about lasting change. 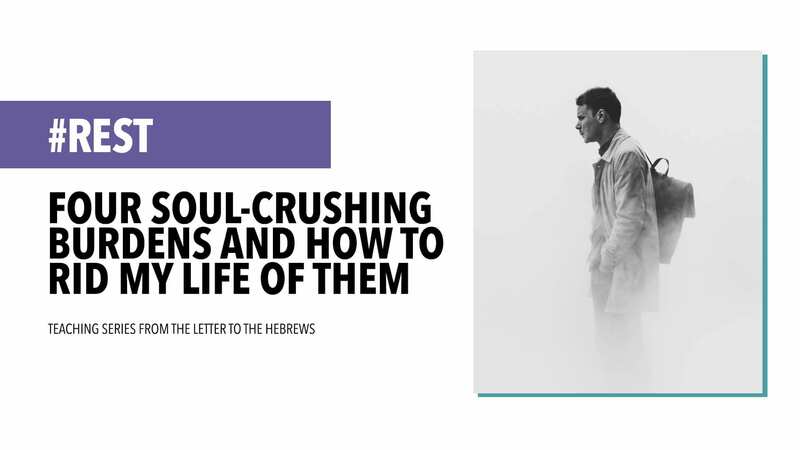 In this short series focused in the Letter to the Hebrews, we will expose four soul-crushing burdens and seek to move past them and find what Jesus offers: rest for our souls.